School gardens are popping up all over the region and the Civic Garden Center has been supporting teachers as they embark on their botanical adventures with students. Join us as we learn about some amazing programs happening in town and the best practices for starting sustainable school gardens. Mary holds a Master of Arts in Botany from Miami University. 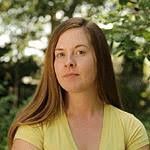 She has worked as a botanical educator in Seattle, WA; Miami, FL and various cities in the Ohio Valley. Mary enjoys presenting at local and national conferences on the importance of getting children outside and working with plants. Her research has been published in both scientific and educational journals. In her free time, Mary loves travelling to new places to investigate the flora, taste new foods and research local agricultural practices.